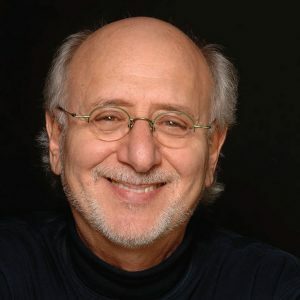 As an artist and activist, Peter Yarrow’s gifts are legendary. He has written some of the most moving songs that Peter, Paul & Mary have recorded, including “Puff, The Magic Dragon,” “Day Is Done,” and “Light One Candle.” This musical creativity has always gone hand-in-hand with Yarrow’s commitment to positive social change dedicating his time and talent over the years to equal rights, peace-building, education, preservation of the environment, and more. Just as Peter Paul & Mary used their music as a platform for advocacy, Peter has harnessed music to unite hearts in common purpose, knowing that when music brings people together, it has a unique ability to catalyze and hasten positive change.